The heat of the Texan sun is being rivalled only by the fever generated by optimism over the Industrial Internet of Things at this year’s NI Week event. NI Week has opened in the Texan capital of Austin, the home of host National Instruments – as well as an impressive list of Fortune 500 technology companies which makes this corner of Texas seem like a small displaced enclave of Silicon Valley. The Internet of Things is at the top of the agenda for the company that provides the platform on which industrial systems and networks are measured, validated and controlled. With a prediction of 50 billion connected devices being in existence by as soon as 2020, the company and its partners have their work cut out. 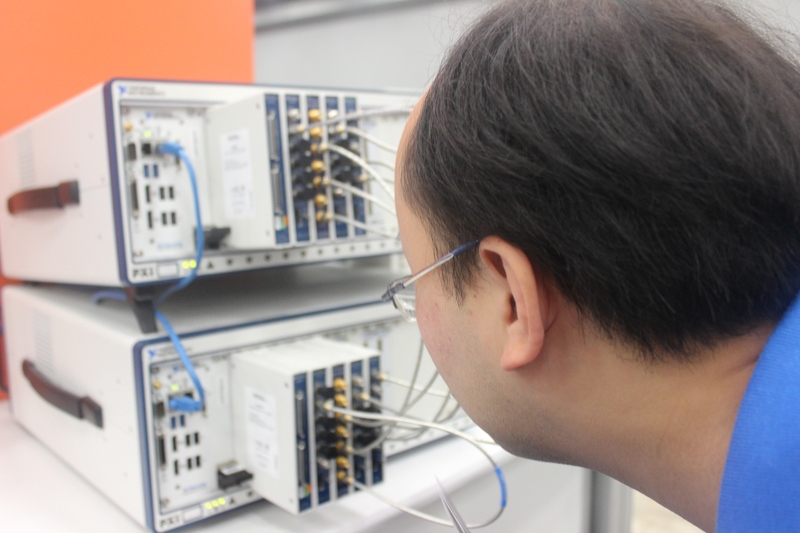 Industrial connectivity, the latest developments in 5G communications and an impressive array of applications built on LabView formed the core of the event. It is clear that optimism is high but the challenges are nonetheless massive. A lack of interconnect standards and the shortage of bandwidth to cope with the explosion of data that the IoT will generate are just the start. There is also the question of what can be done with all the data that the Industrial IoT will generate. According to the International Data Corporation, this analogue Big Data associated with the Industrial Internet of Things will double every year to reach a staggering 4.4ZB (1 Zettabyte = 1 billion terabytes) of raw data by 2020. In his keynote address at the event, technology futurist Micky McManus made the grammatically perfect if rather nebulous prediction that “you haven’t seen anything yet”. McManus predicts trillions of connections between devices creating what he describes as an ecological system of data in which we will live as a constituent part, as opposed to a technology from which we sit apart. The “unbounded malignant complexity” that McManus described also provides vast opportunities: he says that the existing state-of-the-art in the Internet of Things is nothing more than a modern-age primordial soup, from which the interconnected, intelligent technology of the future has yet to emerge, comprising both the good and the bad. Compared to the kind of future being predicted by Micky McManus, the 50 billion connected devices predicted to be in existence by 2020 seems to be just a small drop in the primordial soup.